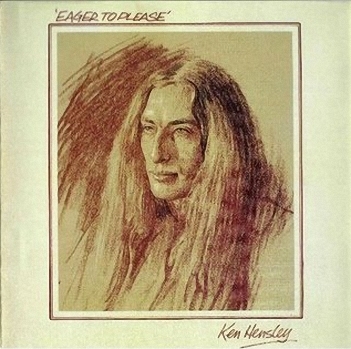 KEN HENSLEY – EAGER TO PLEASE: Worthy Solo Experimentations From A Dusty Shelf – Schlockmania! 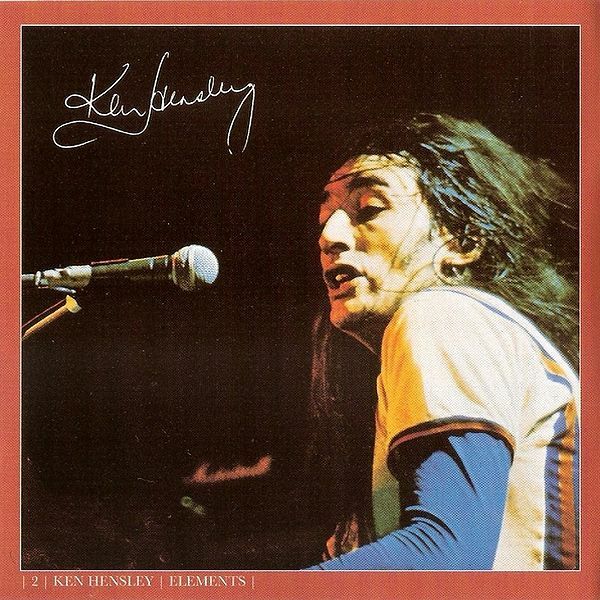 Like many solo artists who come from famous groups, Ken Hensley brings a lot of his band into his solo career. That said, this is not because he is trying to imitate his day job – instead, it is a reflection of everything he brought to Uriah Heep. Eager To Please has everything Hensley fans came to expect from his work with that band: the Euro-gothic keyboard stylings, the rich vocal harmonies and the painstakingly-crafted songs are all here. However, Hensley also experiments with his Uriah Heep style in interesting ways that offer a novel twist on his familiar attributes. Hard rock fans will be happy to know Eager To Please kicks off with a pair of rockers: the title track is a rocked-up ballad whose slow-fast-slow arrangement is packed with emotive yet heavy slide guitar work and “Stargazer” has the Frodo-metal lyrics and chunky riffery that Heep fans love. However, the experimentation begins in that second tune, which mixes a jazz-rock-style horn section midway through to skew the sound in an unexpected direction. Such experimentation is the core asset of the album. Hensley clearly had a lot of fun applying his songwriting chops to different genres: “Secret” is a country rock tune driven by exquisite slide-guitar work from guest B.J. Cole and “The House On The Hill” is pure singer-songwriter soft rock, with a soothing, dreamy melody that is nicely delineated by Hensley’s elegant electric piano work. That said, the most interesting experiment comes from someone else: “In The Morning” is a bouncy slab of blue-eyed soul penned by bassist Mark Clarke, complete with a sax-as-main-axe arrangement. Better yet, a few of the cuts use orchestration to appropriately grandiose effect. A great example is “Through The Eyes Of A Child,” a piano-led ballad that gradually weaves in strings and horns to mirror the growing emotional crescendo in the lyric’s tale of lost innocence. It’s a fan favorite and perhaps the album’s best song. Also, “Part Three” and “How Shall I Know” benefit from orchestrated finales that back up Hensley’s emotional vocals in high style. However, none of the experimentation with genre or arrangement clouds the focus – which is to deliver one well-crafted song after another. Hensley’s writing from start to finish, mixing elegant yet hook-conscious melodicism with thoughtful lyrics that reflect his unique mix of open-heartedness and love for the written word. His vocals are also quite good, gliding from falset to to full-throated roar to fit the song’s demands. The final touch is the rich, earthy production by Peter Gallen, which lives up to Hensley’s musical ambitions with a plushly-recorded set of sonic textures that lend cohesiveness to his experimentation. In short, this album fits nicely alongside Proud Words On A Dusty Shelf as a solo-album must for moonlighting Uriah Heep fans. Fans might want to note that Esoteric Recordings recently reissued Eager To Please on CD and they provide the quality mastering, solid liner notes and attractive packaging that fans have come to expect from this young but prolific label (they also added a rocking non-album b-side called “Who Will Sing For You?” as a bonus track). Schlock-Wire: Esoteric Recordings’ Mar/Apr Slate – PFM, Arthur Brown And More!